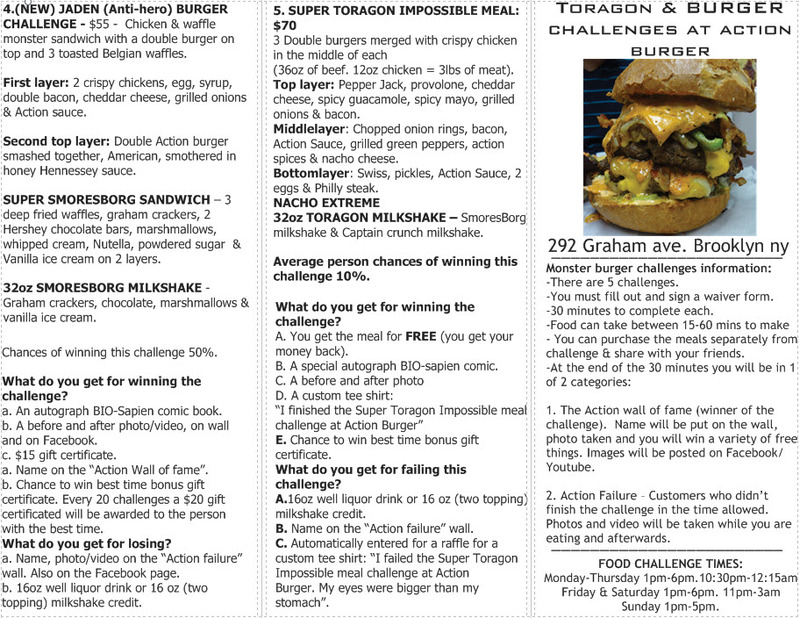 Monster burger challenges at Action Burger. 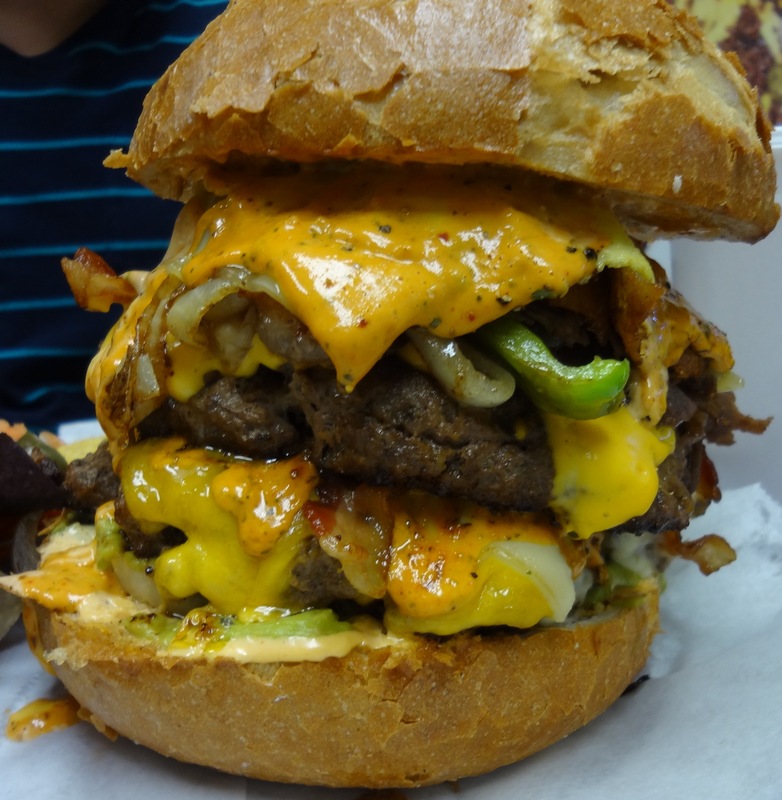 There are 5 burger challenges, the hardest one #5 is free if you can finish it in 30 minutes. 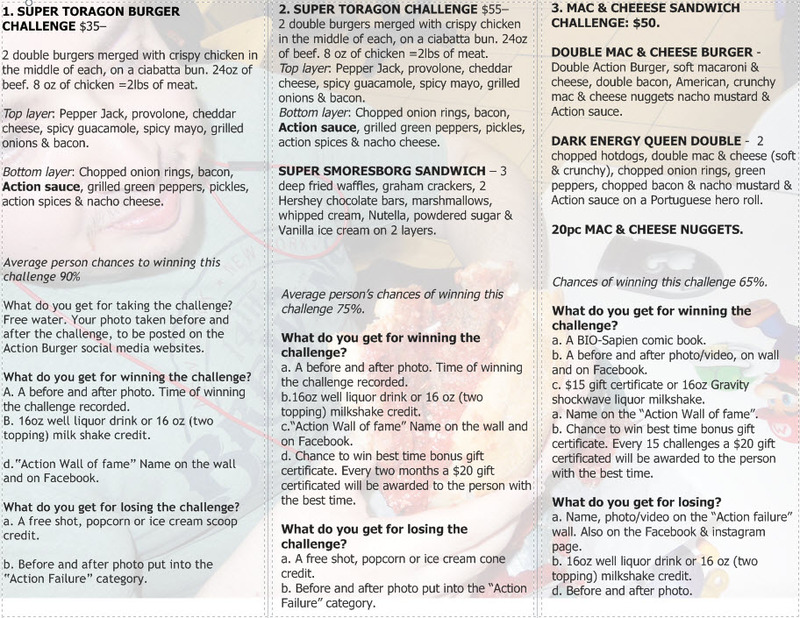 CLICK PHOTOS TO ENLARGE CHALLENGES!